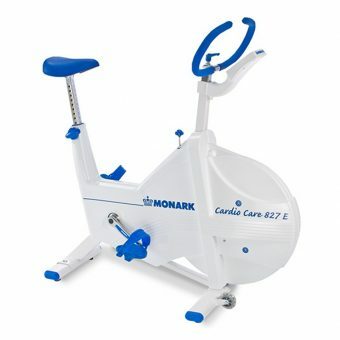 A stable exercise bike with a smooth ride that will keep going for many years. Specially designed for intensive use in institutions and gymnasiums. 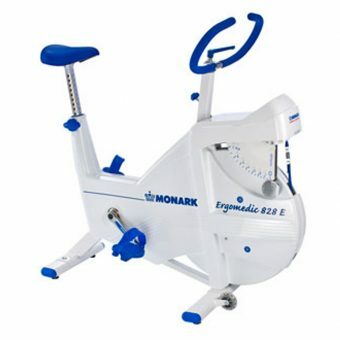 Easy to use and tough, therefore one of Monarks most popular exercise bikes. This is the world’s most widely used test bike for fitness tests and worktests. It is easy to calibrate and just as easy to check when in use. You know that all the values are always accurate. Great adjustment possibilities, the crank arms are independent from each other and can have different angles and lengths. Can be used with hands or feet. Loads can be calibrated and are shown in watts at 50 rpm. 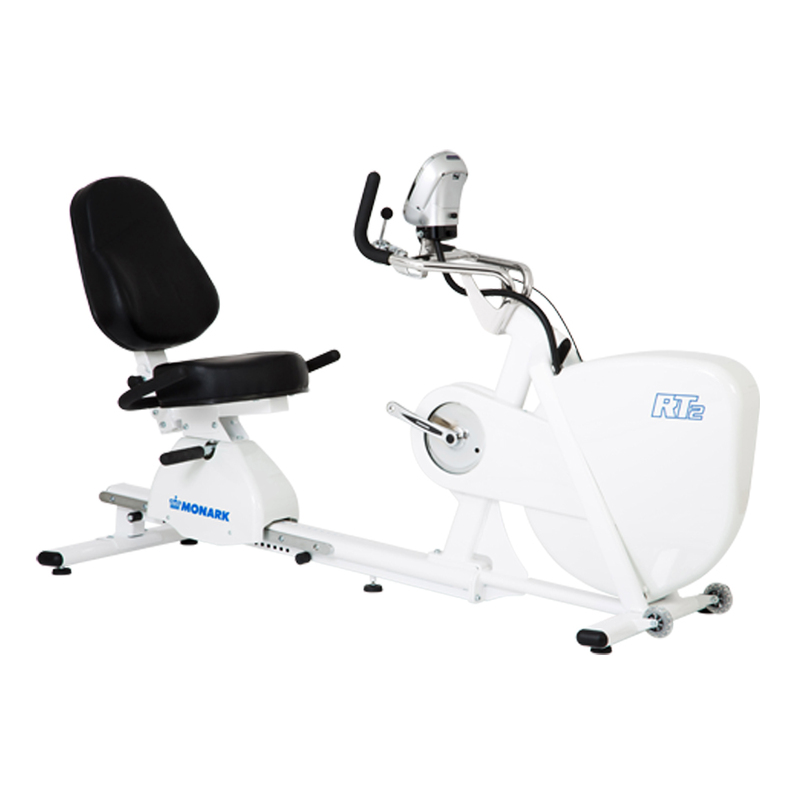 Ergonomic recumbent cycle for training and warming up. Easy-to-use and suitable for patients with problems using a normal bycycle due to injury or special needs. New unique resistance system with fixed steps and grip-friendly control. 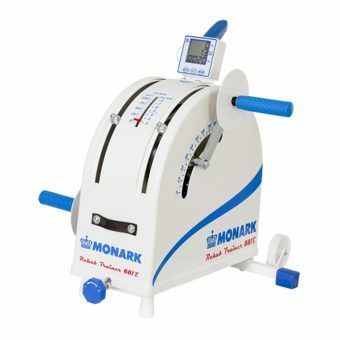 User friendly for patients with difficulties gripping and twisting. New ergonomically designed backrest easily adjustable. Low entry level and grip-friendly handle for entering safely. New display with improved sharpness, double pulse systems, USB port for PC, and real time showing of Watt. Calibrating resistance is possible and does not require an external electricity source.